First, a very Happy 2017 to all!! Last year's Vintage Happiness drum sets focused on the Ludwig drums in my collection. For 2017 I will feature some of the other great American Drum manufacturers of the 20th century as well as more Ludwig drums. Starting off this year is a set that I feel extremely privileged to have gotten. 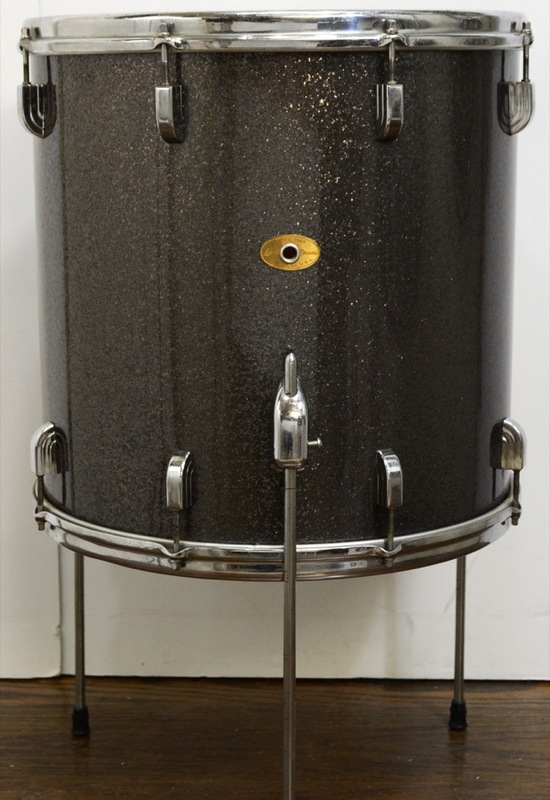 This was my first great find from Steve Maxwell Vintage Drums. 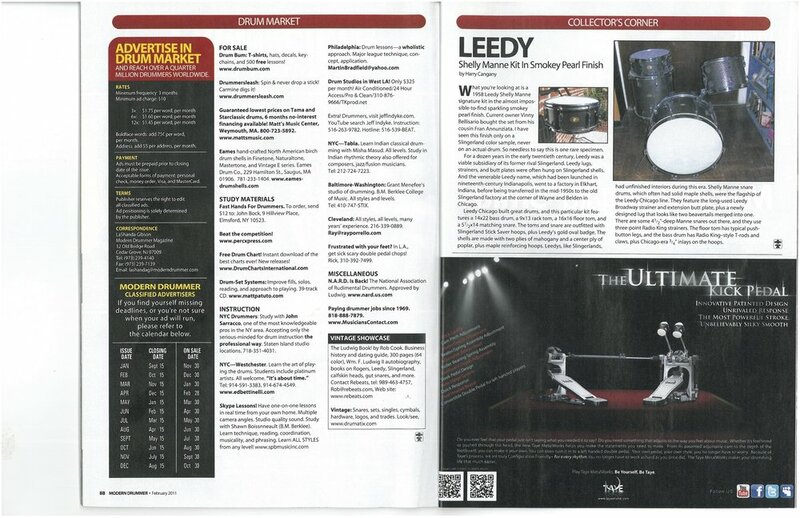 Leedy drums were a brand I was already familiar with from a previous find here in Southern CA. This set is a 1958 Leedy Shelly Manne Outfit No. 11 in the rare Gretsch finish of Starlight Sparkle. 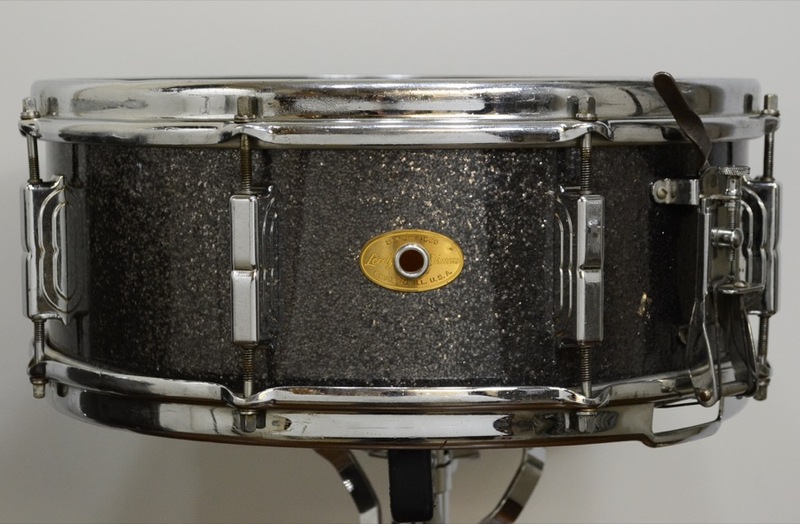 This is from the era when Slingerland owned Leedy drums. 1956-1965. The 2 videos Steve did on the set were great. It was the video where he actually played the kit that got me interested. They sounded amazing. Fast forward and I am back in NYC for the holidays. After actually inspecting & playing the set in Steve’s Manhattan store, I was sold. The drums really did sound amazing and those shells are incredibly warm and full of tone. It was an all around fantastic vintage drum buying experience. Steve’s staff was more than accommodating and took the time to answer any and all my questions. The drums arrived in CA safely with the best drum set packing job I had ever seen. 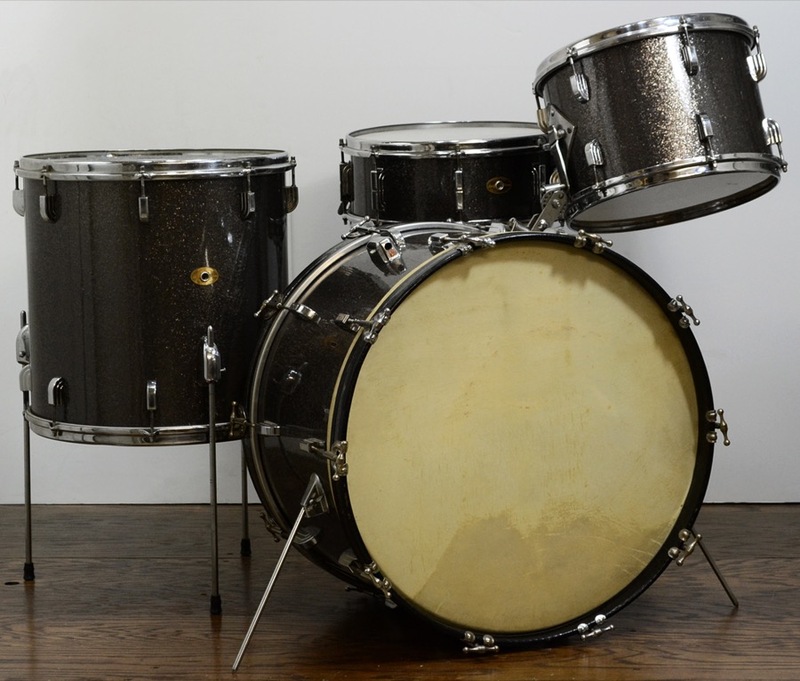 I also purchased from Steve his era correct replica tom holder as the original had seen better days and this kit is in my rotation for live gigs. I have used this set on several big shows already and I am happy to report that this kit is an amazing live kit that really projects well and looks very classy. Leedys are great vintage kits and I am now a BIG fan!